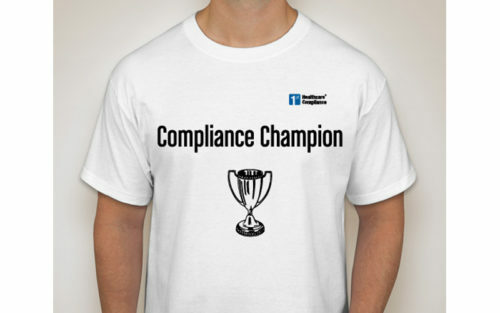 The perfect gift for your favorite compliance enthusiast and a wonderful way to bring awareness to compliance efforts within your organization. 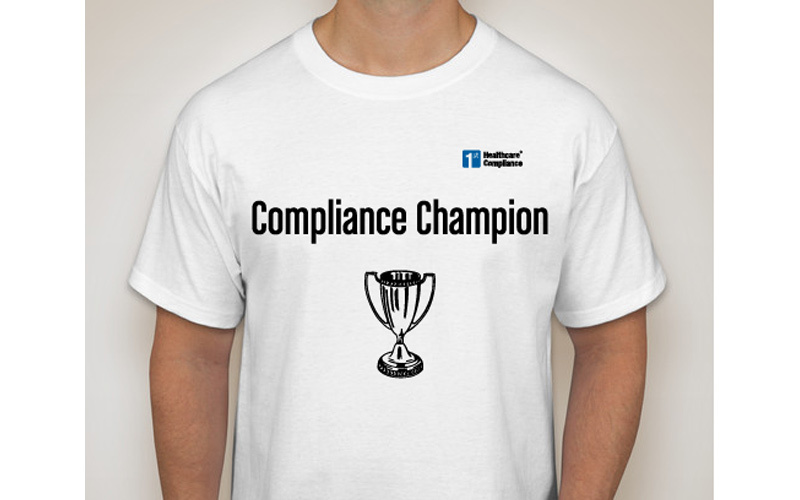 Hanes Tagless T-shirt – White with the words “Compliance Champion” across the front. Call 888-543-4778 for information on discounts for bulk orders.